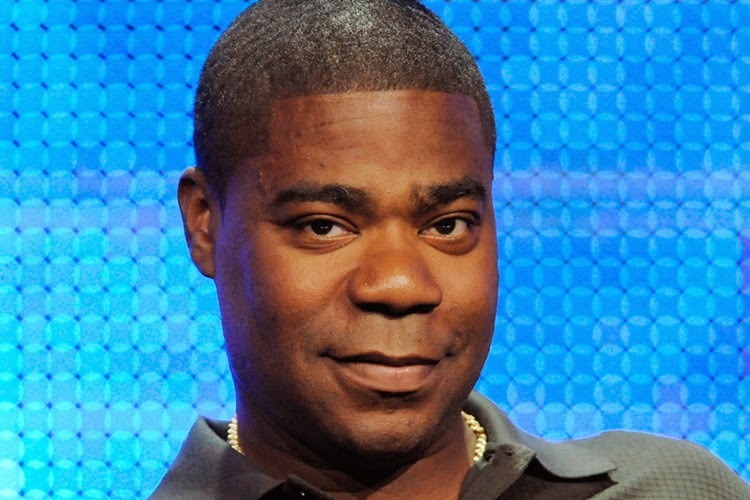 In the early morning hours of yesterday, Actor/Comedian, Tracy Morgan was traveling in a limo bus on the New Jersey turnpike when it was struck from behind by a tractor trailer, killing one and leaving Morgan and others in critical condition. Actor and comedian Tracy Morgan was in critical condition Saturday after a limo bus he was riding in crashed on the New Jersey Turnpike, according to multiple reports. At least one person was killed, and two other passengers were also in critical condition. The limo bus, which was carrying Morgan and six others, overturned at around 1 a.m. Saturday morning near Cranbury Township, Sgt. First Class Greg Williams of the New Jersey State Police told The Associated Press. The accident involved six vehicles, including two tractor trailers and an SUV. One of the tractor trailers crashed into the limo bus, state police told The New York Times. The driver of the truck didn't notice that traffic ahead of him had slowed until it was too late, police told ABC News. The truck hit the limo bus from behind, sending it crashing into other vehicles before tipping over on its side, ABC reported. The Associated Press reports that the truck driver involved in the incident has been charged with causing the crash. James McNair, one of Morgan's comedy writers who was also riding in the limo bus, was killed. He was 62. Comedian Ardie Fuqua Jr. and Morgan's assistant, Jeffrey Millea, were both in critical condition, a hospital spokesperson told the AP. The Associate Press reports that the truck driver has been charged with causing the accident. Police identified the truck driver as Kevin Roper, 35, of Jonesboro, Georgia, according to The New York Times. The charges include one count of death by auto and four counts of assault by auto, according to authorities. Roper's bail was set at $50,000, and he is expected to surrender to authorities on Saturday. In a statement, Walmart President Bill Simon said that a Walmart truck was involved in the crash and that the company "will take full responsibility" if it is determined that the Walmart truck caused the accident.